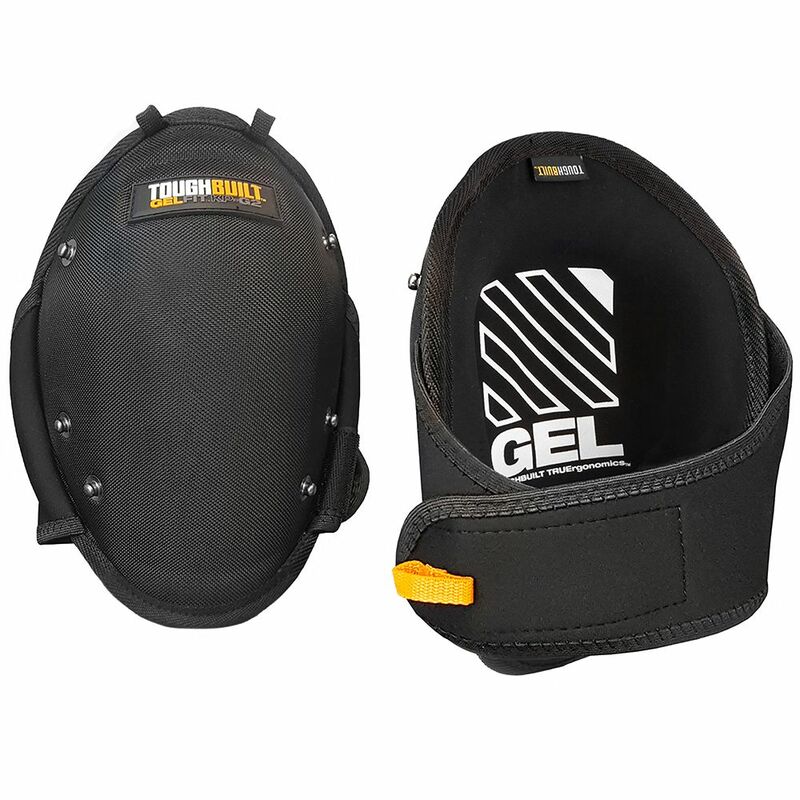 The ToughBuilt GelFit Knee Pads redefine how professionals use their Knee Pads. This patented kneepad system allows the various SnapShells to be easily snapped on and interchanged. Create the exact kneepad to fit every job. Ergonomic gel and foam design embraces the natural shape of the knee and upper shin, maximizing pressure distribution for all-day comfort. High side walls greatly reduce twisting off of the knee. EVA elastic leg straps comfortably hold their place without cutting off circulation or binding behind the knee. Rugged materials and construction make these reliable Knee Pads withstand the most rigorous working conditions. GelFit Knee Pads (SnapShell compatible) The ToughBuilt GelFit Knee Pads redefine how professionals use their Knee Pads. This patented kneepad system allows the various SnapShells to be easily snapped on and interchanged. Create the exact kneepad to fit every job. Ergonomic gel and foam design embraces the natural shape of the knee and upper shin, maximizing pressure distribution for all-day comfort. High side walls greatly reduce twisting off of the knee. EVA elastic leg straps comfortably hold their place without cutting off circulation or binding behind the knee. Rugged materials and construction make these reliable Knee Pads withstand the most rigorous working conditions. GelFit Knee Pads (SnapShell compatible) is rated 4.3 out of 5 by 60. Rated 5 out of 5 by Michael from For the price, these are more than adequate. With these... For the price, these are more than adequate. With these knee pads even an old guy like myself can spend hours working on refinishing a deck and still stand up at the end of the day (albeit not easily).